As you guys know, I love trying out different skincare products and Vichy has been one brand that I’ve always wanted to use but somehow I always ended up picking something or the other. So, recently I tried a couple of products from their range. Also, my regular swimming sessions have really taken a toll on my skin and the constant contact with chlorinated water coupled with the sun exposure has not only made my skin dull but it has also become more dehydrated. 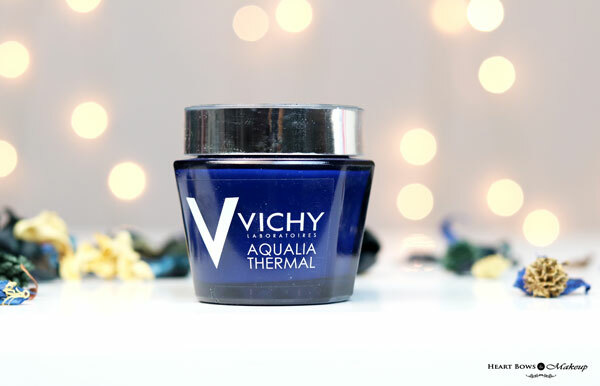 So read on to know if the Vichy Eau Thermale Spa Water & Aqualia Thermal Night Spa Sleeping Mask managed to replenish my dehydrated skin. 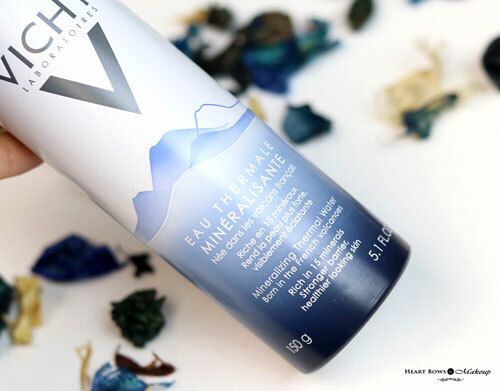 Extremely soothing and infused with antioxidants, Vichy Mineralizing Thermal Water is a natural solution for boosting skin quality and health. 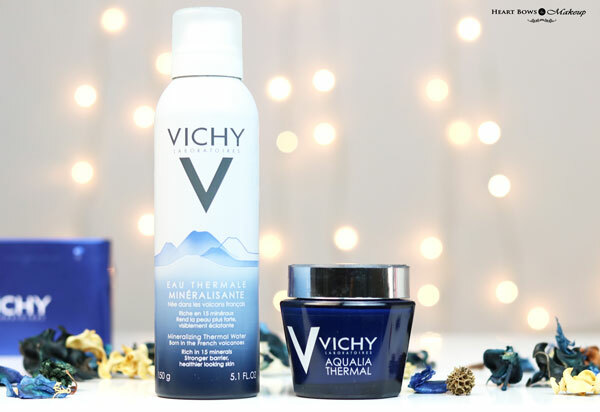 A unique combination of 15 rare minerals gives Vichy Mineralizing Thermal Water its remarkable ability to fortify & protect the skin from environmental aggressors. I have been using facial mists for the last 2 years and they have become a permanent step in my skincare routine. I totally swear by the Avene Thermal Spring Water but it is quite expensive so I was hoping the Vichy Thermal Water would prove to be a good replacement considering it costs almost half the price compared to Avene. 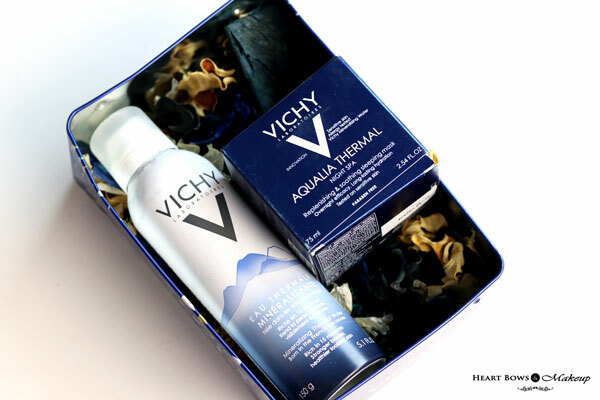 The Vichy Eau Thermale Mineralisante is packaged in a blue and white can bottle. I find the color scheme very soothing and the bottle is available in 2 sizes: 50ml & 150ml. It contains 15 skin strengthening minerals including iron, calcium and manganese which help protect the skin against pollution and other external aggressors. It also maintains the PH balance of the skin. My skin gets very sensitive after threading or shaving and more so when I’m out in the sun for long hours. The facial mist not only helps soothe my skin but also reduces redness or inflammation if any. 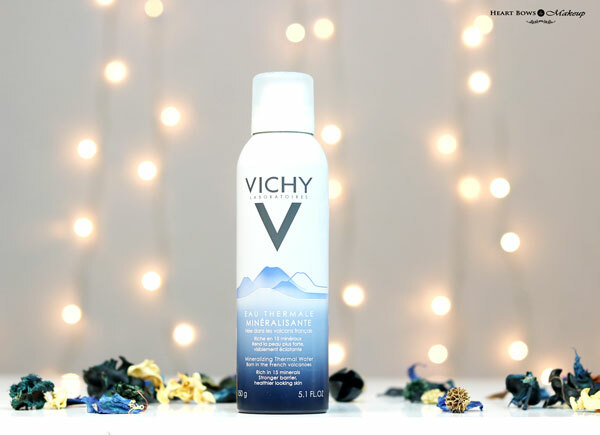 I’ve been using the Vichy Eau Thermale Water for almost 2 months now and I find this as good as the Avene Thermal Water which costs double the amount. I usually use the mist after toning my face or when I’ve been out in the sun for long. It instantly calms down my skin and makes it feel more hydrated. I’ve read that some people also use it after applying their makeup but I will recommend against it. It is a facial mist with thermal water and not a setting spray. 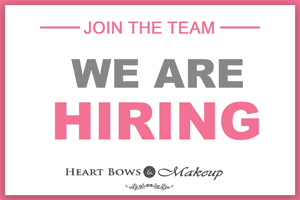 It will certainly affect your eyeliner or mascara incase they are not waterproof. Instead, you can use it before applying your base makeup for a dewy finish. Packaged in a blue glass jar with a silver cap, the packaging looks nice and attractive. However, being a glass jar it is not very travel friendly. The product itself is an aque blue gel which is light in consistency. This was my first time trying out a sleeping mask and considering the price I was expecting this to do wonders for my dehydrated skin. Well Vichy definitely didn’t disappoint. 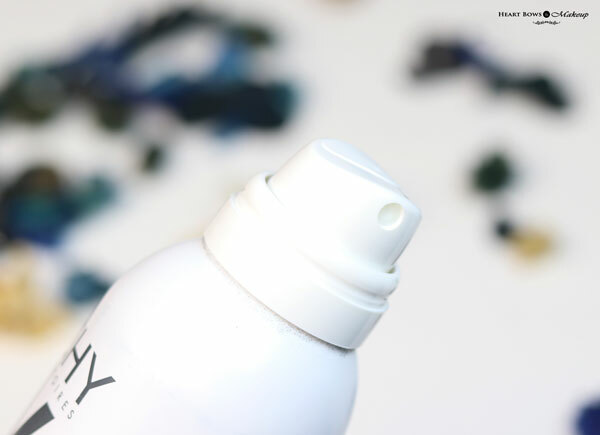 Their Aqualia Thermal range is a boon for people with dry skin and the Night Spa Creme is no different. It is slightly heavy for a gel-creme formula and takes a few seconds to absorb into the skin. Once absorbed, it does not feel sticky or greasy..
My skin feels instantly nourished, hydrated and supple. Most facial creams meant for dry skin tend to feel very heavy on my skin but this is comparatively lightweight. It can be used 2-3 times a week as a sleeping mask. Just slather on some product, massage it into the skin and remove it after 15 minutes. The skin is instantly hydrated and has a nice healthy glow to it. 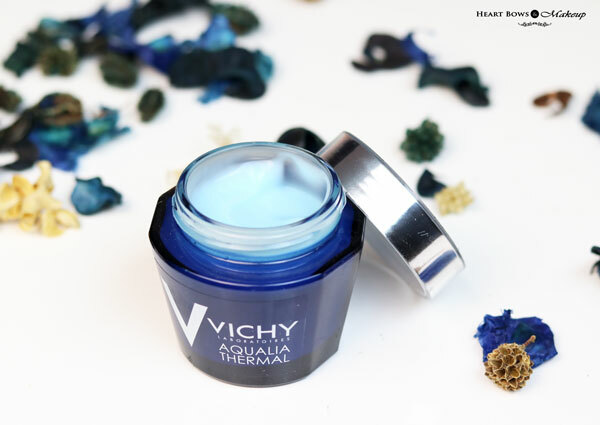 The Vichy Aqualia Thermale Night Spa Sleeping Mask can also be used as a night cream daily. Just make sure you use a thin layer. The aque-gel is infused with Hyaluronic Acid and Aquabioryl known to replenish the skin with hydration and form a protective film. It aims at revitalizing the skin overnight and with regular usage the skin definitely feels more hydrated, radiant and healthy. I use it 3-4 times a week as a night cream and it is definitely the best night cream for dry skin in India. The only drawback for me would be the price point. However, I’ve been using it for the last 2 months and it will easily last me another couple of months as a little product truly goes a long way.